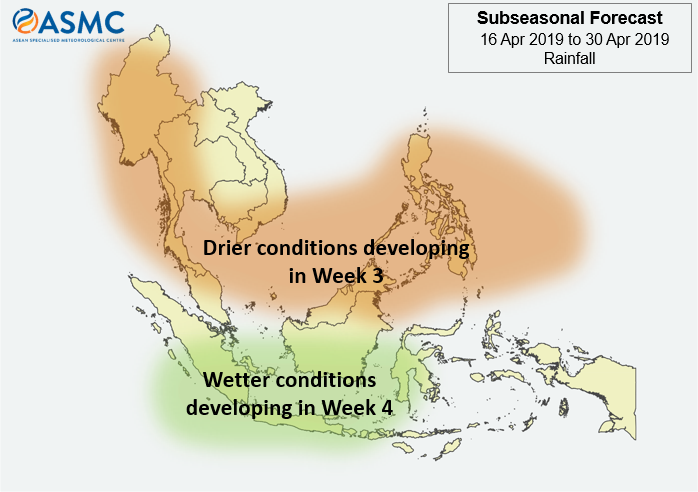 In the third week of April 2019, drier-than-usual conditions are expected to develop over parts of the Mekong sub-region, as well as over Malaysia and the Philippines. In the last week of the month, wetter-than-usual conditions are expected to develop over parts of Indonesia, with a possible development of Madden-Julian Oscillation (MJO) over the Indian Ocean. Most models predict the MJO to propagate slowly towards the east into the western Maritime Continent before weakening. 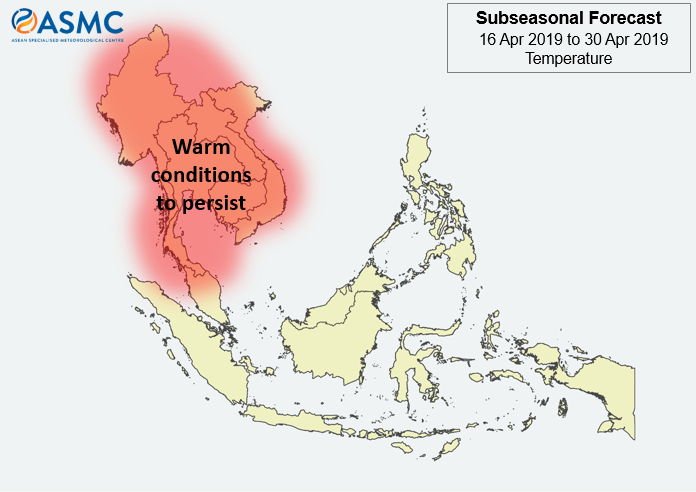 Warm conditions are expected to persist over the Mekong sub-region, as well as the northern part of Peninsular Malaysia.